A historical records survey known as the Inventory of Church Archives was completed by W.P.A. workers between 1937 and 1939. The original survey sheets are held in the Manuscripts Division of the South Caroliniana Library, University of South Carolina, Columbia. In 1980, the collection was microfilmed by the South Carolina Historical Society, Charleston, through a grant from the South Carolina Committee for the Humanities, an agent of the National Endowment for the Humanities. Inventory of Church Archives survey sheets are available for forty-two of South Carolina’s forty-six counties. Surveys for Chester, Edgefield, Fairfield, and Georgetown are not extant. 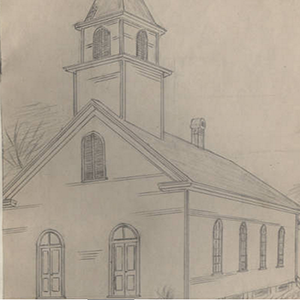 The questionnaires provided the means by which information was systematically gathered on African-American and white churches in both rural and urban areas, including address, date organized, building description, construction date, and, of primary importance, listings of any known church records. An index to churches included in the Inventory of Church Archives is available in Richard N. Côté’s Local and Family History in South Carolina : A Bibliography (1981).